"True Blood" star Anna Paquin hit the Hamptons this weekend for the debut of her Hamptons Magazine cover. She spent the day at the new Day & Night Restaurant and Beach Club at the Capri Hotel in Southampton swarmed by fans and socialites. Belvedere Vodka flowed all afternoon. 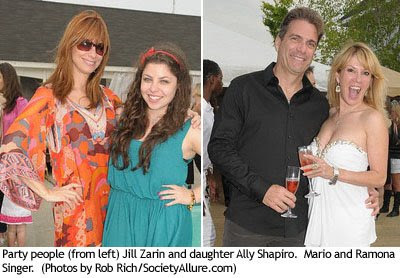 Never one to miss a party, "Real Housewives of New York City" stars Jill Zarin and hubby Bobby with daughyer Ally Shapiro, and Ramona and Mario Singer dropped by as did Hamptons Magazine's publisher Debra Halpert, Jason Binn, and Christine Greeven Cuomo. 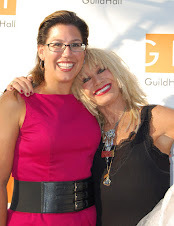 The parking lot was packed as Brad Zeifman, HGTV design guru Libby Langdon, News 12's Gina Glickman, intrepid traveller Caroline Lieberman, Sharon Bush, singer and philanthropist Sir Ivan Wilzig and Mina Otsuka, David Waksman, Janna Stark, James Goll, and David Sarner among others toasted the summer season while Southampton artists Jeff Muhs and Steve Mannino spent some time playing in the sand creating a sculpture.